altcine - 3rd edition of First Film First at Transilvania Film Festival! The 3rd edition of Goethe-Institut’s famous regional FIRST FILMS FIRST program has already started within the framework of the 17th Transilvania International Film Festival. After thorough and long deliberation, the Jury Committee has reached a decision. From 102 applications the jury chose 8 projects. These new young talented directors have started working on their scripts with the inspiring tutors Gabriele Brunnenmeyer and Srdjan Koljević. 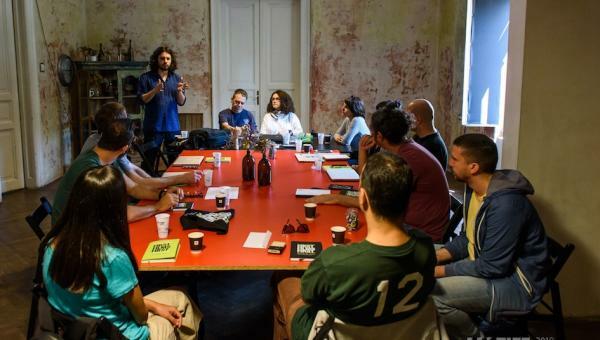 FIRST FILMS FIRST is an intensive professional training program aimed at supporting young Southeast European film directors to develop their first feature-length fiction film. From 16 participants of the first 2 editions of FFF, two films have already been shot and are in post-production now and already six projects got support for production in their home countries. For instance Behind the Haystacks by Asimina Proedrou, Her Job by Nikos Labôt, Man and Dog, by Stefan Constantinescu, Riders by Dominik Mencej, Inventory, by Darko Sinko and Open Door by Florenc Papas (Eurimages). FIRST FILMS FIRST consists of 4 modules, over a period of one year, which allow the participants to develop their first feature film project, step-by-step, through different phases of project development. FIRST FILMS FIRST focuses on 8 participants only, in order to provide a face-to-face approach, individually adapting and modifying the program in order to accommodate each participant’s specific needs. 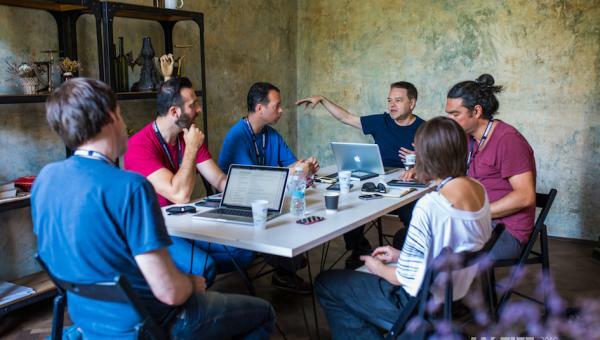 The program finishes with a pitching presentation of the projects before a group of internationally relevant producers, commissioning editors, distributors and funds representatives at the Sofia Meetings, one of the leading regional co-production markets.